Gene also submitted what he sent to the voters guide. Derek was kind enough to send in a statement, which was also submitted to the NYC Voters Guide. Includes: Golf, food and drink at course and council, plus commemorative shirt. Champions Fitness (2632 Gerritsen Avenue) held an Autism “Kick Out” event. There was a BBQ, rides, clowns, and later in the day was the kick-boxing exhibitions. How Would You Like a Traffic Signal in the Old Section? 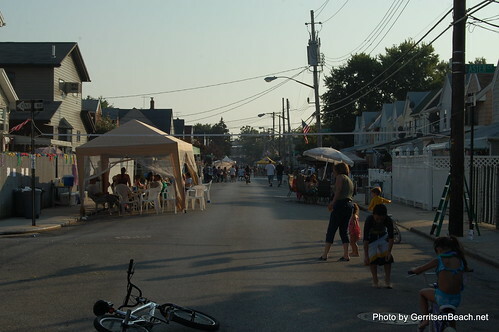 Traffic signals are always a major issue in Gerritsen Beach, we only have a handful, and residents want them. 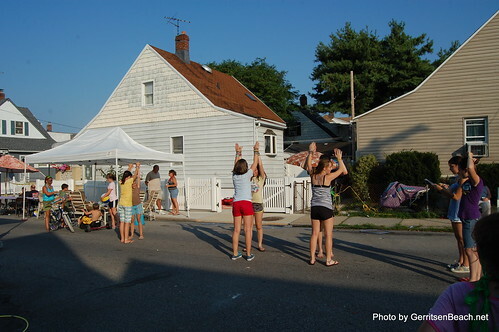 Surprisingly this block party was only attended by about 6 families. I do remember this block party being a lot larger. I wonder what happened. Apologies. No bio was provided. At the former site of the foursome diner, walls have gone up for what is going to be walgreens.